This page describes the best way to approach stores, restaurants, etc. about placing your Well(s) in their foot-traffic locations, INCLUDING stores that already have a preferred corporate charity. If you are a service club, a non-profit organization, a school, or a church, you have probably already experienced the challenges of trying to raise money in local stores. They get approached by EVERYONE and although they'd like to help, they just can't. So they usually turn down those kinds of requests and settle on their favorite or "preferred" charity. Also, stores want their customers feeling warm and fuzzy, not "solicited" for donations. Everyone has probably experienced the sense of guilt if you walk past a bell-ringer or someone doing fund raising at the entrance of a store...even if you donated at the last store. That is not how store-owners want their customers feeling as they walk into their stores. Fortunately, Spiral Wishing Wells are inanimate and do not "solicit". People don't experience any feelings of discomfort if they walk past it. And when they are tossing coins in, they are having fun with big smiles on their faces. It is fairly easy for a local charity to place a Well in a locally-owned store where there is a stronger sense of local community relations than with a large chain of stores. However, many of the BEST locations are the large regional and national chain stores, and almost all of them already have a corporate charity they support. The following strategy focuses on how to approach stores that already have a corporate charity, but we recommend the same strategy for locally-owned stores. Wal-Mart raises money for Children's Miracle Network (CMN). McDonald's raises money for the Ronald McDonald Charities. The list goes on and on. A quick look at any retail chain's website will show that most of them are actively supporting a corporate charity. Each store in a chain is given a "goal" from headquarters which usually feels like a "quota" to them. Fund raising can become a burden for the personnel in the local stores. They have to organize their employees to do car washes, raffles, and other time-consuming activities. In today's world, getting employees to give up their personal time is a HUGE challenge. 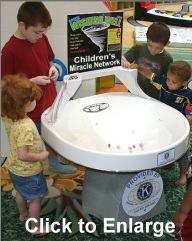 Spiral Wishing Wells solve a problem for these chain stores. They are fun for their customers (no feeling of solicitation), are easy for the store, do not require organizing employees, and they raise money day in and day out...plenty to reach their store's goal. Sometimes, these stores purchase the Wells themselves. In fact, our largest customer is Wal-Mart, but not at the corporate level. 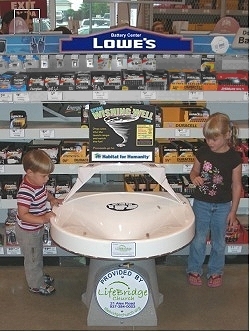 All the Wells we sell to them are purchased by the local stores from their CMN fund. It is the same for McDonald’s, Burger King, K-Mart and all the other large chains. Additionally, we sell more Wells directly to stores than to charities because the stores are trying to find ways to meet their goals. The obvious challenge in that plan is that the stores have to come up with the money to purchase the Well. Wouldn't it be wonderful if they didn't have to do that! Rather than attempting to place your Well(s) to raise money for YOUR project or charity, offer to place the Well to raise money for THEIR charity. That will get their attention. That means you are solving a problem for them, and they don’t even have to purchase the Well! And for supplying the Well to them and for handling the money and keeping it clean (Windex and a paper towel), you will get half of the revenue for your organization! 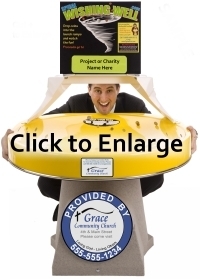 In other words, their charity's name is on the upper portion of the sign where it says, "Proceeds go to", and your organization's name is on the "Provided by" sign on the base. Even if you are approaching a locally-owned store that is not part of a chain, we recommend that you offer to place a Well for "their" preferred charity. If they don't have one, they will gladly let you have 100% of the money. But if they have a preferred charity, you have a better chance of getting a placement, and VERY IMPORTANTLY, it will last for many years. It is better to get 50% of the revenue for years than 100% for a short time. And of course, if you do this with multiple stores in your area, you will successfully "brand" the Wells with your name on the "Provided by" sign, and that will help establish your presence which can lead to additional volunteers and general support. It raises money easily…no volunteer employee hassles. It is fun for their customers without soliciting them. First, place your organization's "Sponsored by" or "Provided by" sign on the front of the rim and/or on the door of the base. You can have a sign or sticker made at a local office supply store or sign store, or we would be happy to make it for you. Contact us about sign options. The next step is to carry the Well into the store without an appointment. That should be their first exposure to the idea. Please do not call them or try to arrange for a placement before you get your Well. If you do that, you end up trying to explain it over the phone and run a HUGE risk that they will say NO. Store owners or managers will not agree to something they can't see. At the very best, they may tell you they'll consider it when you have something to show them. At the worst, they will say, "No" which will close the possibility of placing a Well at a later time. Store owners and managers need to see the Well in action, watch the coins spinning around, and watch their customer's reactions. If you carry a Well into the store, it will put a smile on their face and their first impression will be exciting...and they will SEE how fun the Well will be for their customers. "My name is ___________. (Drop a couple quarters into the Well after the hand shake and introduction.) 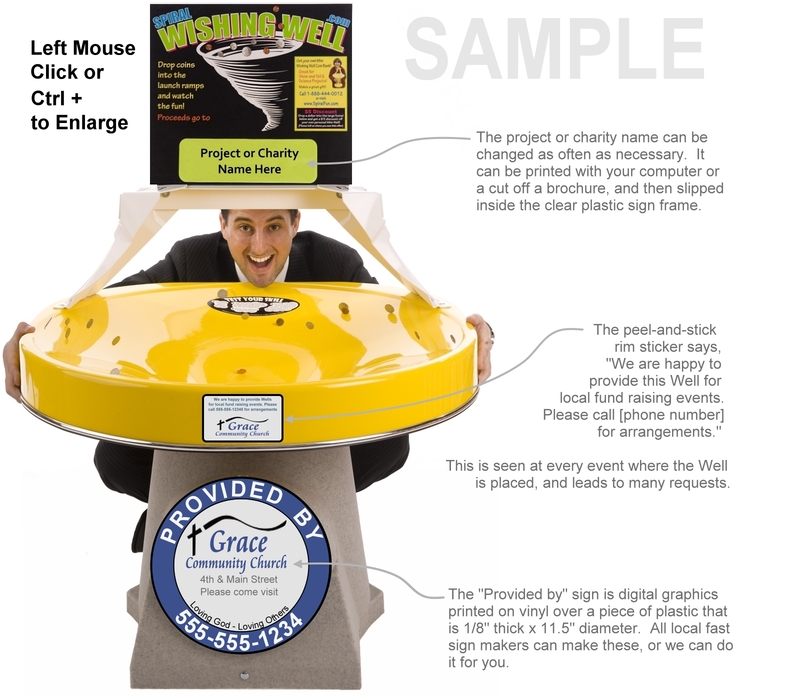 I am with the local (name of your organization), and we would like to offer this Spiral Wishing Well to raise money for YOUR charity (point to the "Proceeds go to" part of the sign), with us getting half for our projects. I would like to leave it here for a couple of days so you can see how much fun it is for your customers and how easily it will help you meet your fund raising goal." Notice that you are not asking for a definite period of time, just "a couple of days". This is an easy decision for them, and not one they will need to run past their supervisor. At that point, if they want to know more details they will ask you (see the split revenue explanation below). If not, there is no need to go into detail at this point. This is a no-obligation "couple of days" demo offer. They have no risk. Ask them for a logo or something that designates their charity and slip that into the sign frame, and ask if you can place the Well in the best foot-traffic area in the store such as inside the entrance or the exit (not in between the entry doors where other vending machines are located, but INSIDE the doors in the actual store). "Here is $(amount) for the first couple of days. The plan is that we will cover the entire cost of the Well, will come and clean it and pick up the money on a regular basis, have it counted at the bank, and hand you a check for half the total. Of course, our half is going to charity too (name the project if it is local). But we want to feature your charity's name on the front of the sign. How does that sound?" It would be difficult for them to turn you down because you are solving a big problem for them the easy way. Again, notice that you are not asking for a long-term commitment. There is no need to do that. Just let the days turn into weeks and the weeks into months. This is free money for them that goes directly into their charity fund. If you ask for a specific term or length of time, that will feel like an "agreement" or "contract" to them, and they will have to get approval from their regional supervisor. How effectively does this work? An organization in Lincoln Nebraska did this very thing...offering half the revenue to the host store's charity. They started with one Well in a K-Mart store and kept reinvesting the income in more and more Wells and stores until they had 300 of them throughout the region. They raised over $10 million in 6 years. And perhaps just as impressive is that nearly EVERYONE in the Mid-West learned about their organization. Before that, they were mostly unknown. This exposure made it easier to raise money from direct donations which is a huge benefit of a program like this. How many Wells can be located in your city? The average placement ratio is 5 Wells per 10,000 population. In that population base, there are usually two large grocery stores, one large general store like a Wal-Mart, and several restaurants. There is definitely room for more than 5, but that will be an easy level of placements. If you placed Wells in all the good locations in your city, what kind of an impact would that have on your projects? How many people would learn about your organization? How would that affect your membership goals? Which is better? Getting 100% of 50%? There are some circumstances when 50% of the revenue is better than 100%. 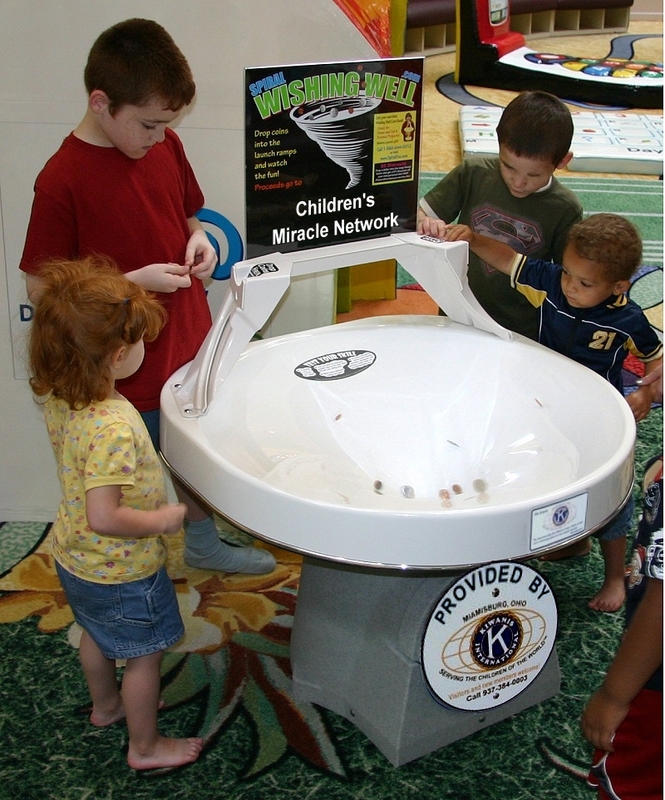 Stores provide THE MOST VALUABLE element of Wishing Well fund raising...the floor space in a public foot-traffic venue with access to large quantities of people. For that reason, many charities approach them asking for access to those people. Many stores turn everyone down because they don't want to be accused of playing favorites. They'll say, "If I let you raise money in my store, I have to let all charities in." We suggest that your goal should be to raise as much money over as long a period of time as possible. If a store gives you 100%, it is more likely that they will ask you to remove the Well at some point in time because they will feel pressure from other charities, or from their preferred charity. We think it is better to build a long term relationship where it becomes a permanent source of revenue for you. If your Well is raising money for their charity which is shown under the, "Proceeds go to" portion of the top sign, they will keep it in their store long term. So that's the question. Will 100% of the money for a shorter period be as much as 50% for a longer period? If nothing else, if you ask for 100% and they say no, then drop back to 50% with their charity being listed on the top sign and your name on the bottom of the Well on the, "Provided by" sign. Similarly, if you have been receiving 100% and they ask you to remove the Well, immediately offer to split the revenue. But if they have a preferred charity, we recommend that your initial approach be the shared-revenue plan. 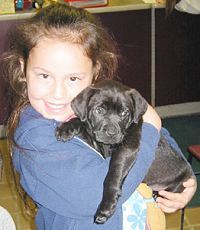 By doing that, you are offering to raise money for them at no cost or hassle at all. That is hard to turn down. 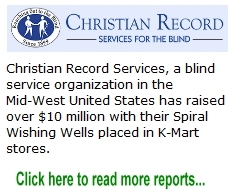 In addition to generating and sharing revenue in large stores and gaining great exposure for your charity, every Well you place can include a rim sticker that offers Wells for local fund raising events at churches, schools, and other charities with whom you split the revenue. All you need is one or more additional Wells that are available for rent. Click here for more information about the Rental Program.